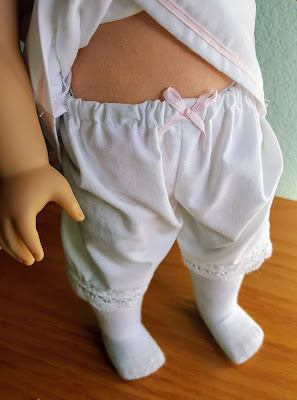 As soon as I got my doll, I immediately stripped her naked and started sewing. This doll was destined to have a full pioneer wardrobe from the moment I bought her, seeing as my Little House on the Prairie obsession as a kid is what got me started sewing in the first place! I went to my fabric stash in my craft room closet and pulled out some fabric salvaged from a pair of old cotton pajama pants. I love the tiny white and pink and teal flowers--the print is the perfect size for a doll. Then I went to my computer and started googling doll dress patterns. Luckily I found links for all of the old American Girl historical patterns. Dress dress is I believe the "school dress" pattern with the gathered bodice and cuffed sleeves. 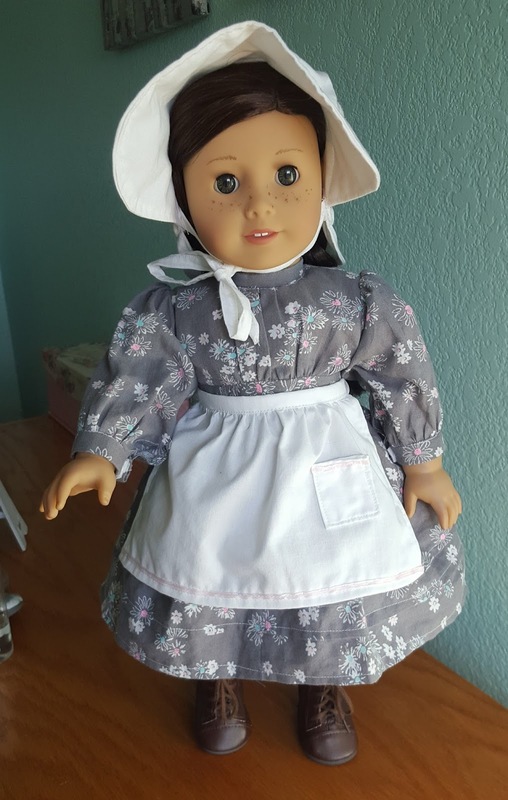 I also made a sunbonnet, apron, chemise, bloomers, and petticoat out of the old sheet, trimming them each with thin pink ribbon and scraps of cotton lace. I made the socks out of little tubes of white jersey. The tops are raw, since I don't have a serger at the moment, so I just rolled them down a bit. The only thing I bought new for this doll were the shoes, which I ordered off of Ebay for around $10. They are not very high quality--I'd love to make a pair of real leather doll boots sometime. The patterns were very easy to follow and the pieces went together super easy. 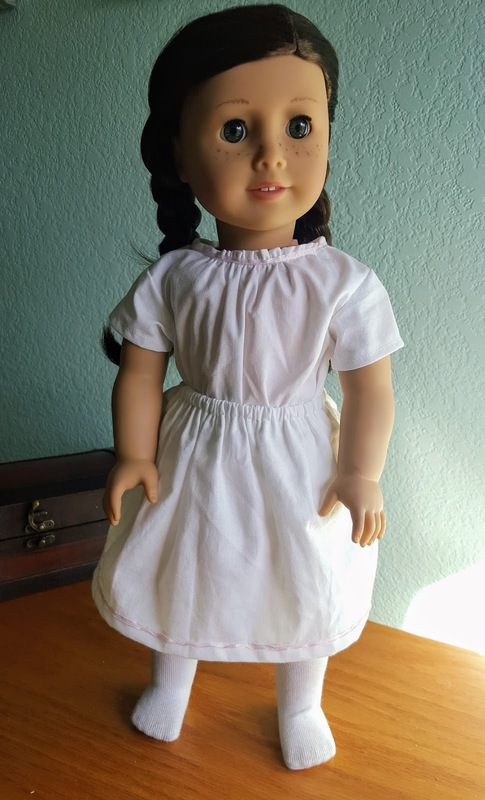 I love the size of clothes for 18 in dolls! They are big enough to not be minuscule and finicky, but small enough that I can use up scraps and not feel like I'm wasting material if I mess up or abandon a project. I've already made several other outfits that I'll post soon! 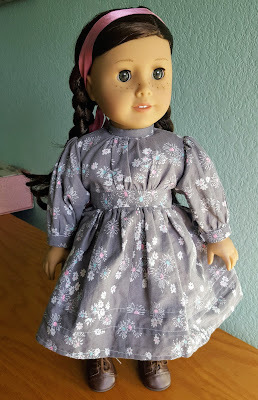 I know that there is a whole community of American Girl collectors and crafters who sew doll clothes. I was browsing Etsy and Ebay for ideas. I can't wait to make even more!